Kick off your visit on the 3rd (Mon): contemplate in the serene atmosphere at Cathedral of the Immaculate Conception. To find reviews, where to stay, and tourist information, go to the Denver day trip app . Oklahoma City to Denver is an approximately 4.5-hour flight. You can also do a combination of car and flight; or drive. The time zone difference when traveling from Oklahoma City to Denver is minus 1 hour. Traveling from Oklahoma City in June, expect Denver to be slightly colder, temps between 83°F and 55°F. On the 4th (Tue), you'll have the morning to explore before heading off to Moose. Moose is an unincorporated community in Teton County, Wyoming, United States, in the Jackson Hole valley. For traveler tips, photos, ratings, and more tourist information, go to the Moose day trip planning site . Use the Route module to find suitable travel options from Denver to Moose. Plan for little chillier temperatures traveling from Denver in June, with highs in Moose at 72°F and lows at 39°F. On the 5th (Wed), you're off toYellowstone National Park. Kick off your visit on the 5th (Wed): hike along Artist Point, take in breathtaking views at Grand Canyon of the Yellowstone, and then look for all kinds of wild species at Gibbon Falls. On the next day, hike along Brink of the Lower Falls Trail, then stop by Fishing Bridge General Store, then witness a stunning natural landmark at Grand Prismatic Spring, and finally take in the natural beauty of Upper Geyser Basin. 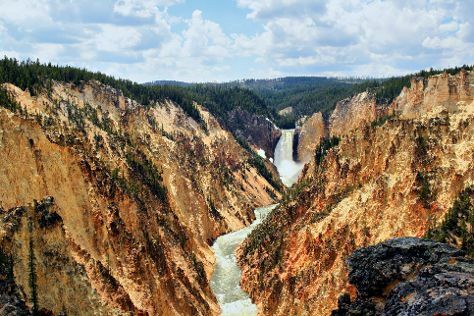 To find maps, traveler tips, reviews, and tourist information, go to the Yellowstone National Park online route planner . Traveling by car from Moose to Yellowstone National Park takes 2 hours. In June, Yellowstone National Park is little chillier than Moose - with highs of 66°F and lows of 34°F. Wrap up your sightseeing on the 7th (Fri) early enough to travel to Burns. Burns is a city in and the county seat of Harney County, in the U.S. For more things to do, other places to visit, traveler tips, and other tourist information, use the Burns trip app . Use the Route module to find suitable travel options from Yellowstone National Park to Burns. Due to the time zone difference, you'll gain 1 hour traveling from Yellowstone National Park to Burns. Prepare for somewhat warmer weather when traveling from Yellowstone National Park in June: high temperatures in Burns hover around 79°F and lows are around 42°F. You'll set off for Redwood National Park on the 8th (Sat). To find traveler tips, photos, where to stay, and tourist information, refer to the Redwood National Park online tour itinerary planner . Getting from Burns to Redwood National Park by car takes about 8.5 hours. Other options: fly. When traveling from Burns in June, plan for a bit cooler days in Redwood National Park, with highs around 63°F, while nights are a bit warmer with lows around 49°F. Finish up your sightseeing early on the 10th (Mon) so you can travel to San Francisco. On the 10th (Mon), steep yourself in history at City Lights Booksellers and then step off the mainland to explore Alcatraz Island. Get ready for a full day of sightseeing on the next day: get curious at Exploratorium and then buy something for everyone on your list at Ferry Building Marketplace. For maps, photos, traveler tips, and more tourist information, read San Francisco trip maker tool . Traveling by combination of taxi and flight from Redwood National Park to San Francisco takes 4 hours. Alternatively, you can do a combination of taxi, bus, and flight; or drive. In June, San Francisco is a bit warmer than Redwood National Park - with highs of 71°F and lows of 55°F. Finish your sightseeing early on the 12th (Wed) so you can drive to Yosemite National Park. Start off your visit on the 12th (Wed): tour the pleasant surroundings at Panorama Trail, admire the sheer force of Vernal Fall, and then take in the dramatic scenery at Yosemite Falls. 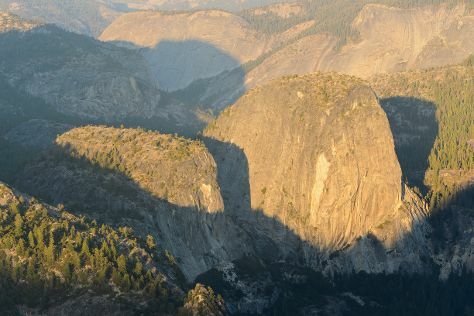 Keep things going the next day: take in the dramatic natural features at Glacier Point, take in the dramatic natural features at Sentinel Dome, and then explore the world behind art at Yosemite Museum Gallery. For maps, where to stay, traveler tips, and other tourist information, read our Yosemite National Park trip itinerary builder tool . Drive from San Francisco to Yosemite National Park in 4 hours. Alternatively, you can do a combination of flight and car; or do a combination of flight and bus. Traveling from San Francisco in June, you will find days in Yosemite National Park are somewhat warmer (79°F), and nights are slightly colder (43°F). Wrap up your sightseeing by early afternoon on the 14th (Fri) to allow time for travel to West Hollywood. West Hollywood, occasionally referred to locally as WeHo, is a city in Los Angeles County, California, United States. To see reviews, photos, ratings, and tourist information, use the West Hollywood trip itinerary builder site . Fly from Yosemite National Park to West Hollywood in 4 hours. Alternatively, you can do a combination of flight and bus. When traveling from Yosemite National Park in June, plan for slightly colder days and somewhat warmer nights in West Hollywood: temperatures range from 73°F by day to 61°F at night. Finish your sightseeing early on the 16th (Sun) to allow enough time to travel to Grand Canyon National Park. On the 16th (Sun), take in breathtaking views at Yavapai Point and then engage your brain at Yavapai Geology Museum. To find other places to visit, maps, photos, and tourist information, go to the Grand Canyon National Park trip itinerary app . Do a combination of bus, flight, and car from West Hollywood to Grand Canyon National Park in 8 hours. Alternatively, you can drive. The time zone changes from Pacific Standard Time (PST) to Mountain Standard Time (MST), which is usually a 1 hour difference. When traveling from West Hollywood in June, plan for a bit warmer days and a bit cooler nights in Grand Canyon National Park: temperatures range from 85°F by day to 42°F at night. 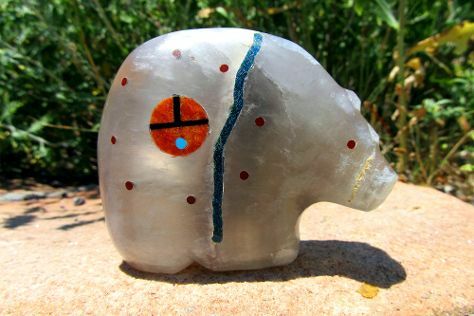 Wrap up your sightseeing on the 18th (Tue) early enough to drive to Santa Fe. Your cultural itinerary includes sights like Keshi and Monroe Gallery. Deepen your sense of the past at sights like The Cathedral Basilica of St. Francis of Assisi and Canyon Road. The adventure continues: take in the exciting artwork at Nedra Matteucci Galleries, steep yourself in history at Loretto Chapel, make a trip to Santa Fe Plaza, and explore the world behind art at Georgia O'Keeffe Museum. To see reviews, ratings, and other tourist information, go to the Santa Fe visit planner. Drive from Grand Canyon National Park to Santa Fe in 7.5 hours. Traveling from Grand Canyon National Park in June, Santa Fe is a bit warmer at night with lows of 56°F. You'll have a few hours on the 21st (Fri) to wrap things up before traveling home.